Here are some of the brands we work the most with, with a brief description extracted from their websites. If the brand you are looking for or are interested in is not on this list please contact us with your request. AEG stands for excellence in performance and German engineering, which is why each product or service is created and developed to be “Perfekt in Form und Funktion”. Bosch in every detail means making life easier for you. For us, premium quality means much more than high-quality materials and first-class workmanship. We devote 100% of our concentration, passion and attention to detail to every one of our work phases, from the first design through the tiniest spare part to our advice and customer services. Because only by doing this can we guarantee the quality that everyone throughout the world knows and expects from Bosch home appliances. The history of the de Dietrich family has been linked to that of France and of Europe for over three centuries. To this day, the company that bears the family name continues to play a major role in the economic life of Alsace. De Dietrich is a holding company based in France which traces its history back to 1684. The incumbent chairman of the supervisory board Marc-Antoine de Dietrich represents the 11th consecutive generation at the helm of the company. De Dietrich has been active in the automobile, railway and industrial equipment industry amongst others. When it comes to kitchen design & products, De Dietrich offers purely and solely the best german engineering has to offer with all the design the modern world requires. All of our design and product development is based on the philosophy of Thoughtful Design. This is a holistic approach, rooted in the Scandinavian design tradition, where the aim is to develop and apply consumer insights into all aspects of the brand experience. It covers functionality, usability, touch & feel, visual appearance and the overall user experience throughout all aspects in the life of a product, from the moment a consumer starts to develop an interest, through to purchase, installation, usage and eventually disposal. Design has to generate emotion and desire in the user, but it must also ensure that the rational/functional aspects of the user experience live up to the user’s emotional and functional expectations. A world leader in the design and manufacture of range hoods for domestic use, Elica is movement and stability, expertise and curiosity, revolution and solidity.Since the start of its adventure in the 70s, the company has cultivated the principles that have distinguished it as a high qualified sector partner. Dynamism, constancy and refinement have always been the drive behind the change and the search for “New Air”, which has always guided Elica towards unexplored horizons full of possibilities. Gaggenau Hausgeräte is a German manufacturer of high-end home appliances. The company won at the 2008 IF Design Awards in every category in which it had nominations. Gaggenau has been a subsidiary of Munich-based BSH Hausgeräte since 1995. Under the brand name Gaggenau, the Gaggenau company and BSH manufacture exclusive, stylish &amp modern kitchen appliances. Hotpoint combines easy-to-use features with practical design to complement any kitchen. These appliances have been created to affordably meet the needs of busy lives. Refrigeration and freezing equipment from Liebherr has had the mark of quality, reliability and longevity for decades. Thanks to innovative technologies and high quality materials, our equipment is particularly convenient and energy-efficient. This applies both to domestic and professional use in trade, craft, gastronomy, commerce and labor. The kitchen has become the heart of the home once again, the warm and cosy place where we enjoy ourselves with family and friends. The place where we usually end the party enjoying the last drink. The hoods from Mepamsa are part of this privileged space, offering an even more pleasant stay for you and your family combining technology and beautiful design with the maximum of efficiency. Mepamsa is very aware of the needs of the present market thanks to their continuously investment both in research and developing. Their aim is to continue improving the new technology in order to decrease the noise and increase the efficiency, maintaining a good quality / price. Thermex is based in the very North of Denmark, surrounded by the sea, where you find high ceilings and a lot of fresh air. This is where we get the inspiration from, when designing and developing our products. Thermex has designed and manufactured extractors and hoods for the last 50 years, offering solutions for both private as well as for business. 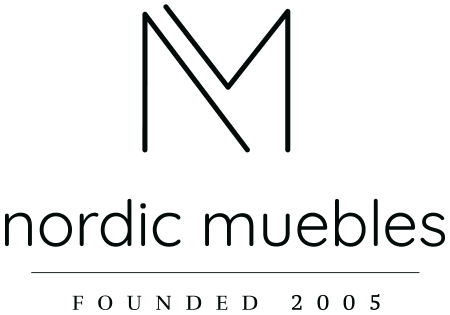 We have the most extensive assortment of hoods and our products are exhibited in more that 900 kitchen and appliances shops all over Denmark. At Zanussi, our outlook is simple: time’s precious, enjoy it! To help you live life to the full, here’s our range of free-standing appliances, designed to fit beautifully into your kitchen or utility room. Just choose whichever you need from our surprisingly affordable range, and they’ll take care of your daily chores – reliably and in style – so you can get on with doing the things you really enjoy. Follow the colour-coded sections to find the kinds of appliances you’re looking for and the at-a-glance overviews to find just the right solutions to make your life easier… simple!